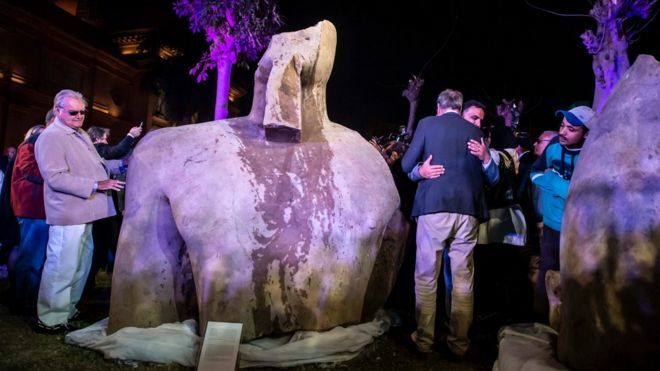 An ancient statue which was pulled from the mud in Cairo is not the Pharaoh Ramses II, but could be another king, Egypt’s antiquities minister has said. Khaled el-Anani told a news conference the statue was almost certainly Psamtek I, who ruled between 664 and 610BC. Experts had thought the statue was Ramses, who ruled 600 years earlier, because it was close to a temple dedicated to the ruler. But one of Psamtek’s five names was found engraved on the huge statue. Even so, the find is still significant, Mr Anani said.